One of the largest educational gifts in U.S. history — $500 million — went to a California university today. When UCSF chancellor Sam Hawgood heard about the donation, he was grateful, of course — and shocked. "I have to pinch myself every time I think about it," says Hawgood. The money could help fund some of the university’s current biomedical work including finding a cure for AIDS. As large donations to American universities go, the UCSF gift is matched only by $500 million gifts to two Oregon universities from Nike co-founder Phil Knight. 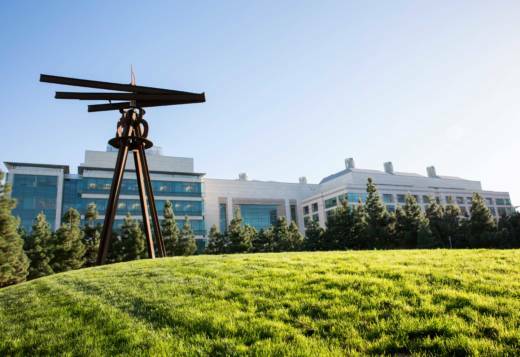 The UCSF windfall comes from the Helen Diller Foundation. Diller, who died in 2015, was a San Francisco native and public education advocate. Her foundation had already given $150 million to UCSF before Wednesday's announcement. UCSF is known for its health care schools, including Medicine, Nursing, Pharmacy and Dentistry and its medical centers, the newest of which, at Mission Bay in San Francisco, opened in 2015. Its scientific breakthroughs include: discovering vitamin E, isolating the gene for insulin, co-discovering the AIDS virus and being the first to link obesity to Type 2 diabetes. What's unusual about the Diller donation is that it's "relatively unrestricted." That means the funds don't have to be used for a narrow purpose. Those types of university contributions, though desperately sought, are uncommon, according to Hawgood. Last year, less than one percent of UCSF's financial gifts were "discretionary," the term used for unrestricted funds. "So it’s extraordinarily remarkable, rare and frankly, exciting," says Hawgood. He says the money will go toward attracting "the best of the best" faculty and will support students who couldn't otherwise afford higher education. Four hundred million will go toward UCSF's endowment and $100 million will support an innovation fund. Of the $400 million, half will go toward supporting current faculty and attracting new talent. The other $200 million will support students at UCSF's four professional schools, some of it, in the form of scholarships. That financial aid is definitely needed, says Hawgood. The majority of UCSF's professional students receive financial aid but less than 10 percent get enough to cover all their costs. The final $100 million is part of an innovation fund to be used at the chancellor's discretion. It could help fund some of the university's current biomedical work including advanced microscopy techniques, cell engineering using gene-splicing tools such as CRISPR, and finding a cure for AIDS. UCSF hasn't disclosed when the funding will become available. When it does, students will be able to discover scholarship opportunities on the university's admissions website.